Signed archival giclee print featuring artwork by A.P. Sabourin. Print measures 8” x 10” and is printed on Hahnemühle Photo Rag Paper. 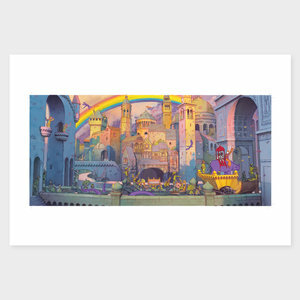 Limited edition, signed Giclee prints by Aaron Becker from the Journey picture book trilogy. Paper measures 17" x 25" Printed area 10" x 21" Printed on archival matte stock and signed by the artist. Limited run of 200. Paper measures 17" x 25" Printed area 10" x 21" Printed on archival matte stock and signed by the artist. 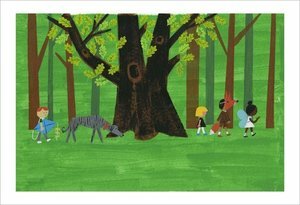 Limited run of 200 made exclusively for The Eric Carle Museum of Picture Book Art. Paper measures 17" x 25" Printed area 10.5" x 11.5" Printed on archival matte stock and signed by the artist. Limited run of 200 made exclusively for The Eric Carle Museum of Picture Book Art. Paper measures 17" x 25" Printed area 10.5" x 11.5" Printed on archival matte stock and signed by the artist. Limited run of 200. 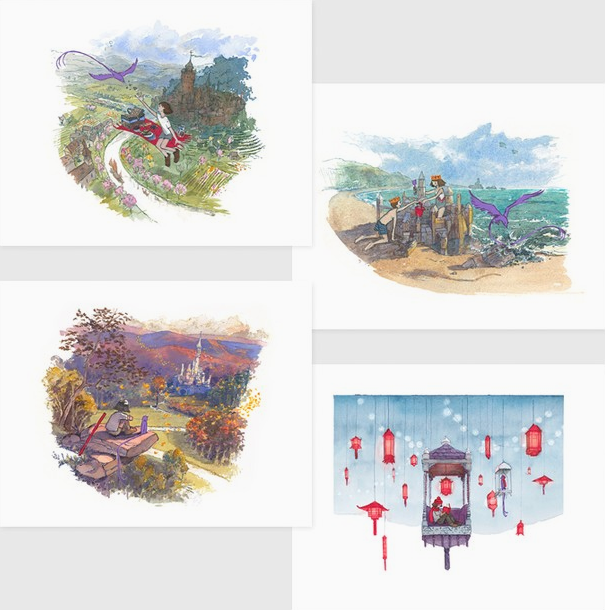 An exclusive print series from Aaron Becker based on the characters from the Journey Trilogy as they adventure through the seasons - a time to picnic in the Spring, play in the Summer, contemplate in Autumn, and cozy up in Winter. Buy one for $75.00 or all four and save $50! Paper measures 14" x 11" Printed on archival matte stock and signed by the artist. Limited run of 200. Each print is signed exclusively for The Eric Carle Museum of Picture Book Art. 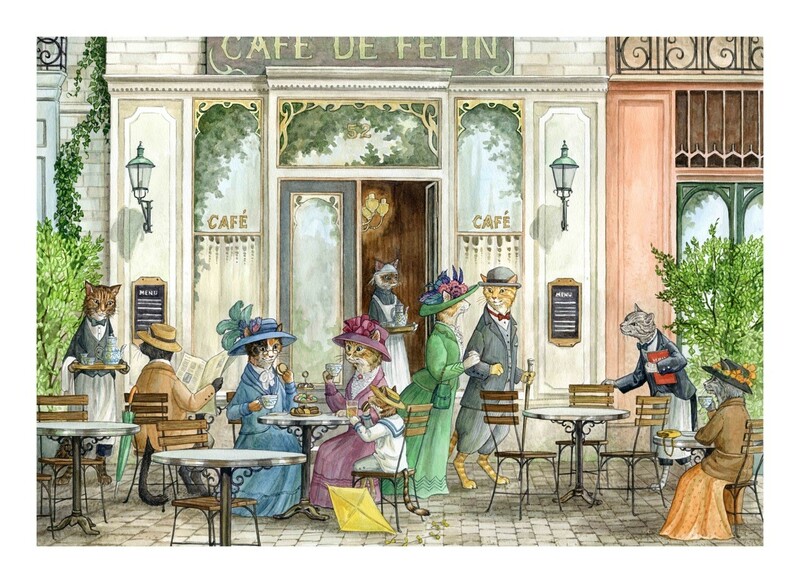 Limited Edition Giclee prints by Astrid Sheckels from her original watercolor painting At the Feline Cafe. 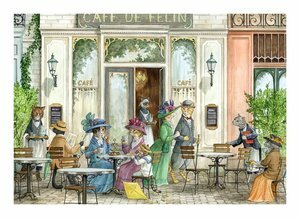 This print is perfect for cat-lovers, coffee drinkers, or anyone else who likes a bit of class and whimsy! Paper measures 16" x 22" and the printed area is 14" x 20". Professionally printed on archival watercolor stock and signed by the artist. Limited run of 25. 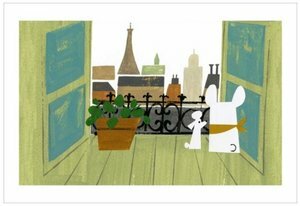 Limited Edition Giclee prints by Astrid Sheckels from her picture book Hector Fox and the Giant Quest. Paper measures 13.75"x15" and the printed area is 11.75x13". Professionally printed on archival watercolor stock and signed by the artist. Limited run of 25. 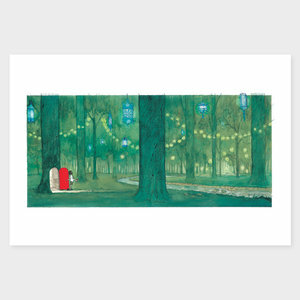 This is the perfect print for a baby's nursery, summer cabin in the woods, or for anyone who loves animals and the outdoors! 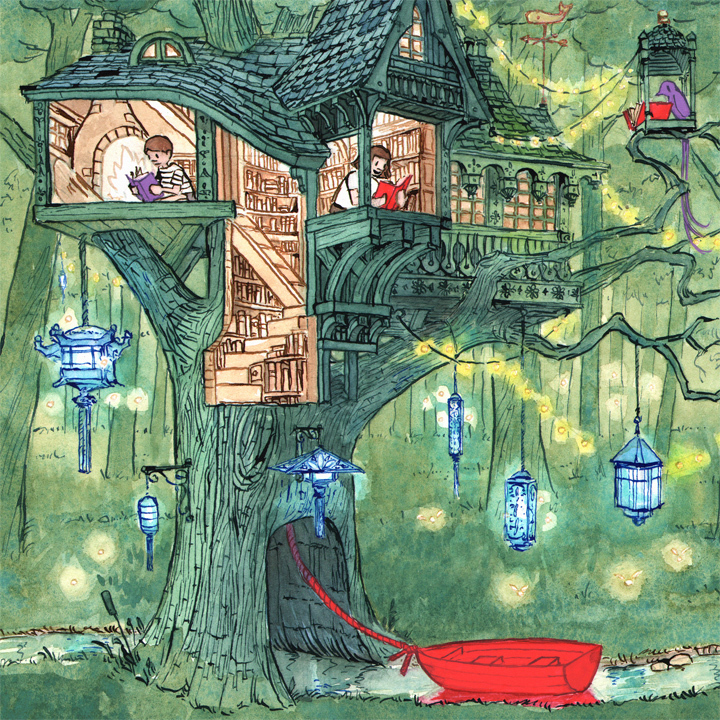 Limited Edition Giclee prints by Astrid Sheckels from Hector Fox and the Giant Quest. Paper measures 13.75"x15" and the printed area is 11.75x13". Professionally printed on archival watercolor stock and signed by the artist. Limited run of 25. This print is perfect for a baby's nursery, for a lakeside cottage, animal-lovers of all ages, or anyone else who likes a bit of woodland whimsy! 8.5" x 11" Giclee art print featuring artwork by Brigette Barrager from Uni the Unicorn. Image from Dave the Potter. 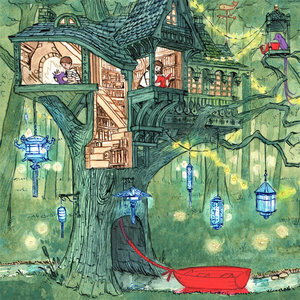 Giclee print featuring image by Chris Appelhans from Sparky! 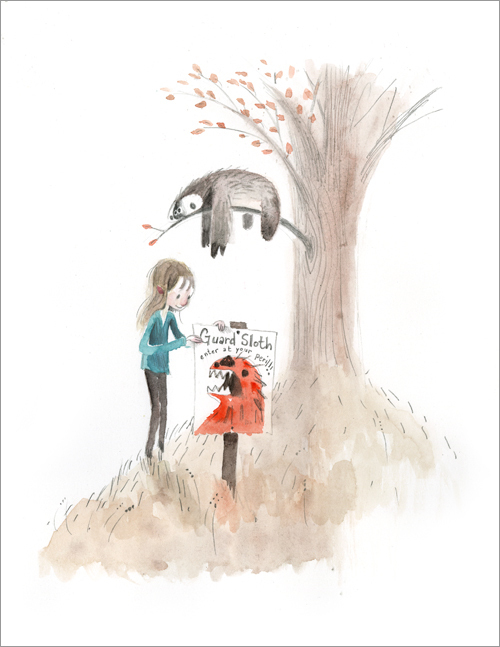 by Jenny Offill, illustrated by Chris Appelhans. Print measures 8.5" x 11", actual image measures 7.125" x 8.7". 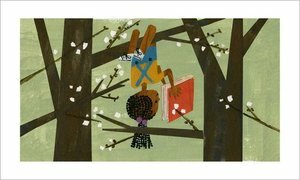 Image from The Dead Bird by Margaret Wise Brown, illustrated by Christian Robinson. 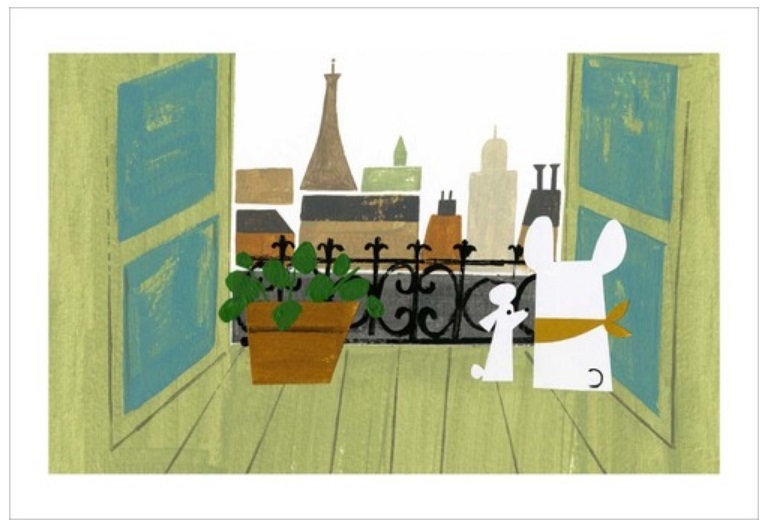 Giclee print measures 13" T x 19" W.
Cover image from Gaston by Kelly diPucchio, illustrated by Christian Robinson. 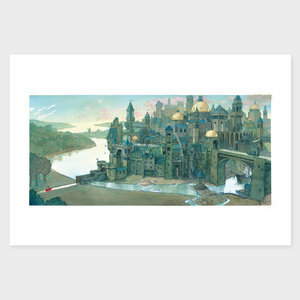 Giclee print measures 12" T x 9.5" W. Actual image area measures 10.125" x 8". Cover image from Josephine: The Dazzling Life of Josephine Baker by Patricia Hruby Powell, illustrated by Christian Robinson. 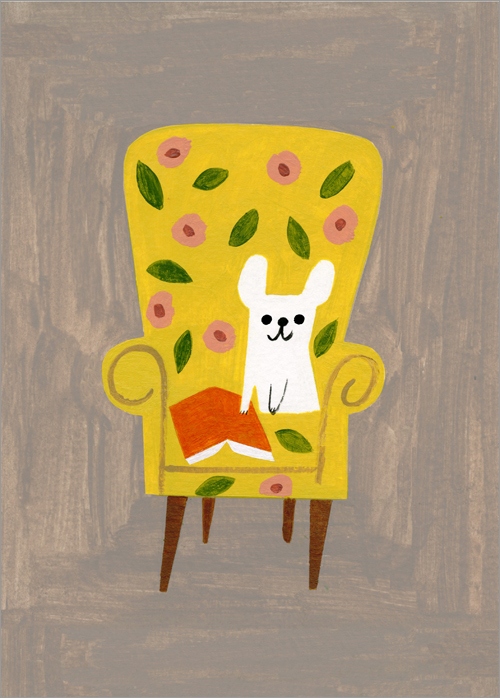 Print measures 12" x 9". 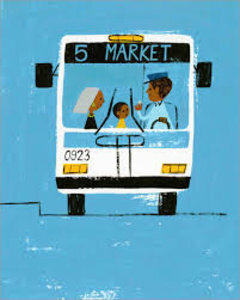 Image from Last Stop on Market Street by Matt de la Pena, illustrated by Christian Robinson. Giclee print measures 12" T x 9" W.
Image from The New York Times Book Review. Artwork by Christian Robinson. 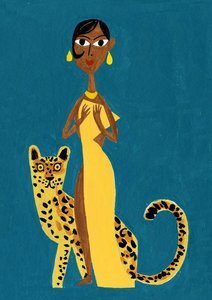 Giclee print measures 9" T x 15" W.